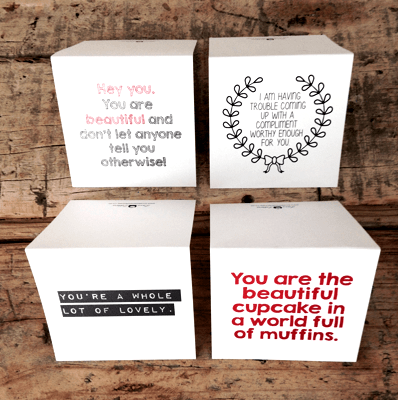 A wonderful box of 6 notecards each printed with a different message for the recipient – some fun and some slightly mushy, so really for all occasions. Perfect to keep in the gift wrapping cupboard. 6 small square gift cards and envelopes.